Kope Soap found it's origin at the University of Hawaiʻi at Mānoa. Students in Professor Peter Rowan's Entrepreneurial Marketing class were tasked with creating and pitching new business ventures throughout the semester. To address increasing awareness towards climate change and the growing demand for natural products, the Kope Soap team determined to create a business that would benefit it's customers and the environment. Drawing inspiration from Barnana, a company that upcycles bananas into healthy snacks, Kope Soap noticed how many students were buying coffee from a nearby cafe and felt that there was a better way to utilize the coffee grounds. Kope Soap was extremely well-received and became a finalist in the class. 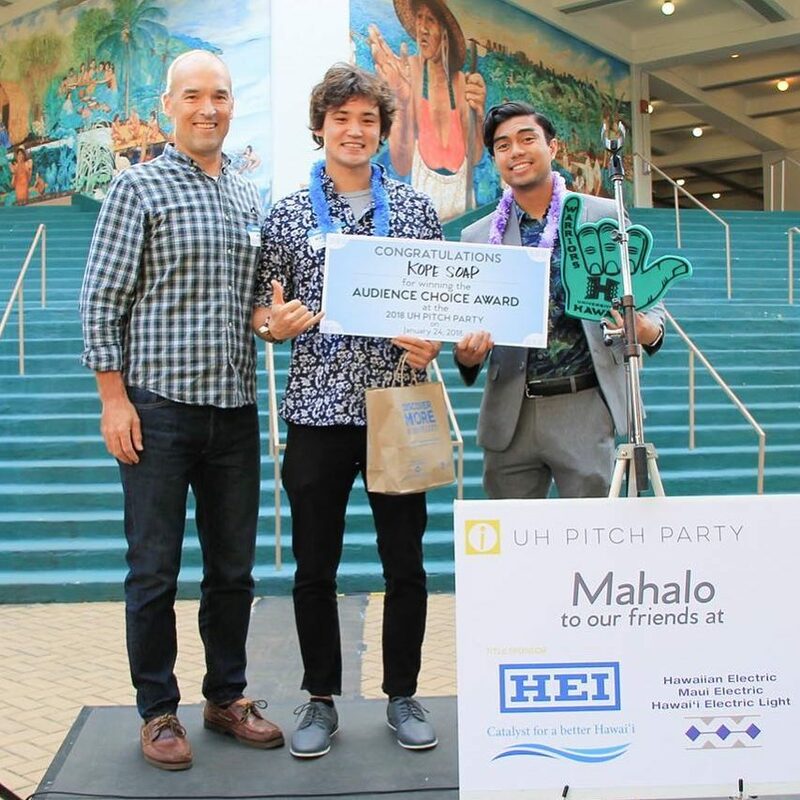 From there, founder Tate along with his team progressed through a series of programs at Shidler's Pacific Asian Center for Entrepreneurship (PACE) that included the UH Business Plan Competition and the 2018 UH Summer Startup Launchpad to make Kope Soap a reality. Since then, Kope Soap has been privileged to vend and experience growth at events like the Moana Lani and Made in Hawaiʻi Festival. What is "Upcycling" and why do we do it? Through upcycling, we strive to reduce the waste going into Hawaii’s overburdened landfills. So after President Obama banned microbead products, we sought after a natural alternative. We found that coffee grounds serve a similar purpose, to moisturize and exfoliate your skin. After use, our coffee grounds decompose naturally over time. This process allows for a healthier environment and a healthier you! As a locally-owned and operated company of Hawaii, we began with a passion to make the islands we know and love a better place. Inspired by the adage “one man’s trash is another man’s treasure,” we believe in our mission to not only make products for the benefit of the environment but also the people who inhabit it. Mahalo!